Sound & Video (A/V) systems are important for many venues, including hospitals, houses of worship, offices, hotels, stadiums, etc. Unlike life safety systems, which must meet codes and regulations when, there is no cookie-cutter approach when it comes to installing an A/V system. Every facility has unique architectural and acoustic properties, which are best considered early in the planning stages. Here are four tips for successfully implementing the right sound and/or video technologies. Be sure there is a clear understanding of the systems that are being installed and exactly what the equipment can and can’t do. Gaining a good understanding of the technology and how it functions is an important part of the process. Consider all cable pathways required, especially between the input sources and the video display device. 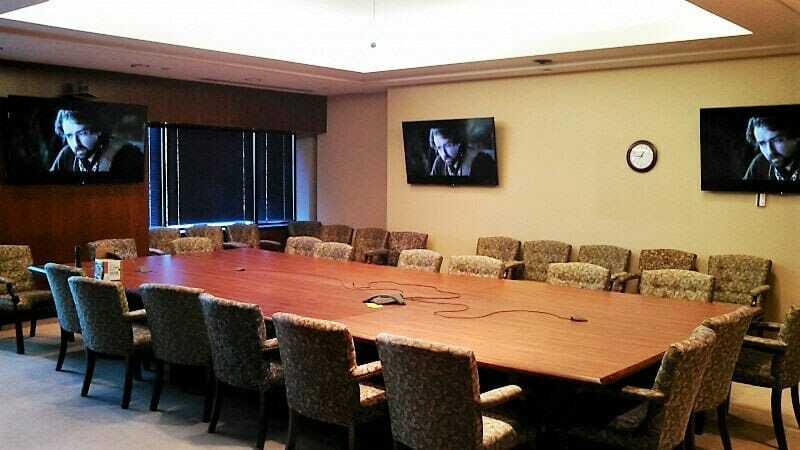 Some existing facilities may have limited options regarding the ability to conceal the A/V cabling that runs between a conference table and the flat screen HDTV or projector. These options include core-drilling floors, trenching floors, or installing under-carpet or surface mounted cable raceways. Consider all electrical power needs. Whether moving to a new facility, undergoing a new construction, or renovating an old building, it is crucial to do an assessment on all electrical needs. The right A/V provider will help determine whether or not there are enough electrical power circuits in the room, if they are in the proper locations, and if there is sufficient power to support the systems. Plan the project with realistic expectations and budget. To avoid roadblocks during the project, it is important to involve potential A/V integrators early in the planning stages, to ensure that everyone’s ideas and expectations are viable. Whether a facility manager is tech savvy or not, it’s crucial to lay the proper groundwork from the start on details about budget, equipment, electrical requirements, and other key components which need to be considered. Most important is to find a qualified commercial A/V Contractor with the experience to guide you through the entire process and support the long-term needs of the project. Even though A/V systems have become commonplace, there can be major roadblocks to successfully implementing a new system if the facility manager does not carefully address the items mentioned above. These guidelines can help expectations become a reality, allowing A/V system users to count on the stability of their system.